Robert Christian Mann obituary. Carnes Funeral Home. 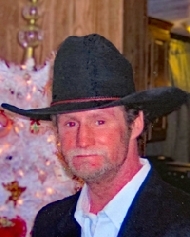 Robert Christian Mann, 52, of Alvin, Texas passed away March 25, 2019 at his home with his family and friends by his side. Robert was born on July 4th, 1966 in Abbeville, Louisiana to King Edward (Red) Mann and Mary Louise Mann. Robert moved to Texas with his family at the age of two and attended school in Santa Fe. Robert had a passion for riding motorcycles, fixing cars, spending time fishing, and impersonating Elvis. You could always find him going fast and pushing the limits on anything that had a motor on it. Robert was always up for a competition and loved the thrill he got from adrenaline. No matter if he was busy or not, and no matter what his family or friends asked of Robert, he was always willing to stop what he was doing to lend his time or expertise. You could always count on Robert to make you laugh at any situation or brighten your day with his smile. He will always be remembered by his family and friends as a fun-filled soul who loved to joke and a semi-pro dancer who could get down with the best of them. To his Grandchildren, we will always be remembered as the fun Grandpa, who was always willing to run around the yard or play in a sand pile. He loved spending time with family and making people smile as much as he could. Robert is preceded in death by son, Blake Christian Mann, father, King Edward (Red) Mann, grandparents, Lewis and Gertie Lofton, Jack and Agnes Mann, and Roy Little. He is survived by his mother, Mary Mann; wife, Debbra Mann; brothers, Jimmy and Harold Mann; sisters, Lynne Winkler and Kimberly Mann; sister’s-in-law, Stephanie and Gloria Mann; brother-in-law, John Winkler; children, Christopher Wheeler and Andrea Jennings; daughter-in-law, Candace Wheeler; grandchildren, Cade and Callen Wheeler, Penelope Perkins, and Adonis Jennings; nephew’s, Christopher, Brandon, Josh, Jason, Rusty, Andrew and Adrian, and niece’s, Brandy, Crystal, and Jennifer.